The first of three concert is now over and wow it was quite an experience! 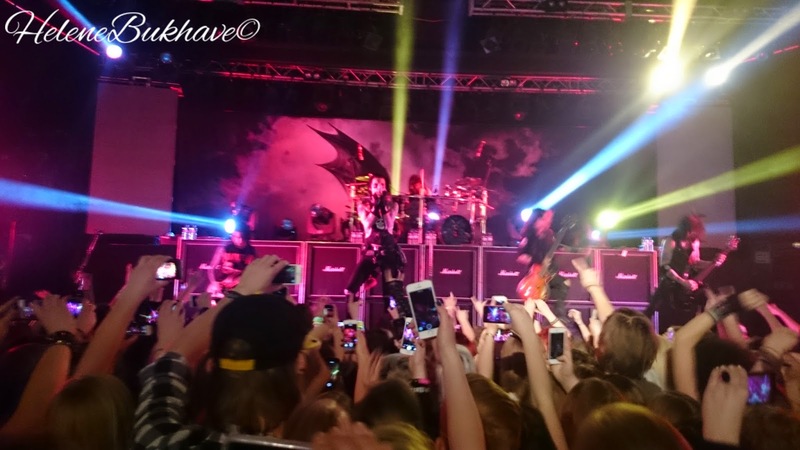 I have been a fan of Black Veil Brides for 4-5 years now and this was my first concert with them. As i wrote here they have been in Denmark two times before without me being there to support them so i was hella happy that i was there this Sunday! I became a fan of (one of) the warm ups which was Fearless Vampire Killers! A london band with an awesome sound and a great (and hot) leadsinger Kier. If you like Black Veil Birdes then i think you should check them out! And now to the serious fangirling! 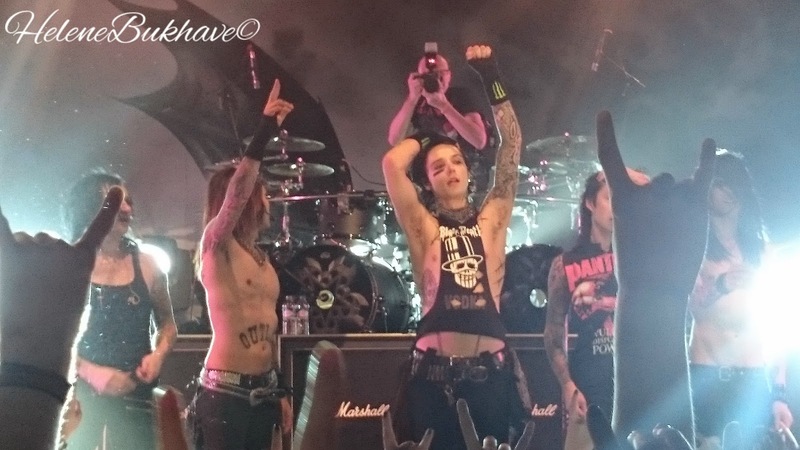 I just have to say that Andy Biersack is the most perfect human that walks this planet. You will never understand how perfect he is to me. I almost didn't feel worthy to see him live in action. His smile through the concert was almost too much and i don't think i have been screaming so much my whole life. It was a perfect concert. Though he didn't take of his shirt.. shame but his bandmate Ashley revealed his famous "Outlast" tattoo so i'm not disappointed. The fact that CC was so ready for the show that he broke the drums at the first song was only a plus! It gave Andy some times to talk about their Copenhagen adventure on bikes, which i have never seen coming. A metal band around my little country on bikes.. well.